How many meatballs will it take to overflow? What is a number of meatballs you know is too high? What is a number of meatballs you know is too low? What information would be useful to know here? This is where you ought to teach them how to find the volume of cylinders and spheres, if they don't already know. The chef adds 50 meatballs to a different pot and it overflows. Determine possible dimensions for that pot and its sauce level. The math worked out to 33 meatballs but the answer was 36. What might account for the difference? The chef wants to combine all 36 meatballs into one meatball. How big will that meatball be? Will it still overflow? The difference might be on account of the "lip" of the cylindrical pot. The pot has more volume than we calculated because it isn't a true cylinder. Will the tomato sauce spill over the edge of the pan? How long will it take to cook the meatballs? When will the meatballs (frozen?) be ready to eat? Whoa! Is that pan gonna overflow?? Will the sauce overflow when these meatballs are added? Will the meatballs overflow the pan? Will the pot of sauce overflow? How many will fit before it spills? How many meatballs will fit into the pan? Will the pot overflow when the meatballs are added? Will the meatballs make the sauce overflow out of the pot? How will the volume change when you add in the meatballs? How do you know how many meatballs to add to the pot? How many meatballs can fit without it overflowing? How many meatballs will fit in the sauce pan before it overflows? How many meatballs until it spills? Dan has the same looking oven top as I do. How long will it take the meatballs to cook? My teenaged daughter's first question was, why are the meatballs in a bag? How many meatballs can I put in the sauce without overflowing? How many meatballs will fit in the pot? is the sauce going to spill over? How much space does each meatball take up? Will the sauce overflow once the meetball have been put in the saucepan? How many meatballs can be placed in the pan? will the pot boil over? Yummmmmmm! Or perhaps, I'm a vegetarian so I'll skip this problem. This is cute:) will there be a spill? Importantly, will I get to SEE a spill? How many meatballs will fit? When will the meatballs be cooked through? will the balls fit in the pan? After 3 minutes, what is the temperature of a meatball? 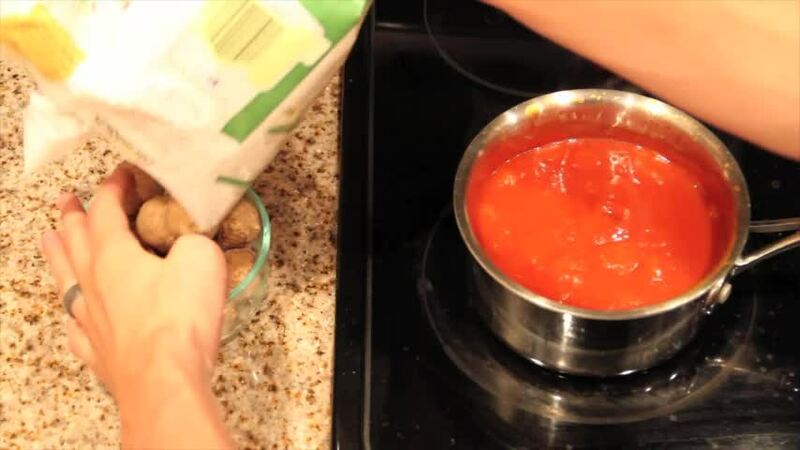 How much splash will the meatballs cause as they're poured. Will the meatballs cause the sauce to overflow the pan? How long will it take for the meatballs to thaw? How long will it take to defrost in sauce? How much sauce is needed to cover all the meatballs? Are the meatballs going to cook in the sauce before the sauce burns? I don't think that the sauce will overflow. Will the meatballs cause the sauce to overflow? is this a volume lesson? will the meatballs being added splash sauce out of pan? Will there be enough room for all the meatballs? Is the sauce going to overflow? How many meatballs should i ad ? How long will it take to cook? Will those meatballs make the sauce overflow? What a mess! Will the spaghetti sauce overflow the pan when the meatballs are added? What is the diameter of the meatball? Does it matter if the meatballs or frozen or fresh? How much sauce is in the pan? What are those disgusting looking balls? Will the meatballs fit in the pan? How long till the meatballs are eatable? Will all the meatballs fit? Is that the right amount of sauce for that number of meatballs?